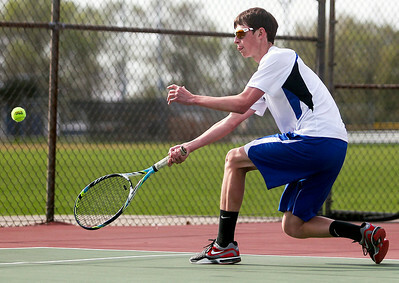 Sarah Nader- snader@shawmedia.com Dundee-Crown's Chad Wagner returns a ball while competing in a doubles match during a tennis tournament at Crystal Lake Central High School Saturday, May 10, 2014. 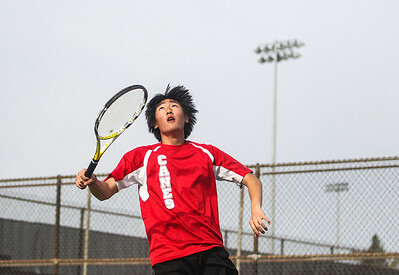 Sarah Nader- snader@shawmedia.com Marian Central's Charles Shin looks up at the tennis ball while competing in a tennis tournament at Crystal Lake Central High School Saturday, May 10, 2014. Sarah Nader- snader@shawmedia.com Dundee-Crown's Brad Spangenberg serves to Prairie Ridge while competing in a doubles match during a tennis tournament at Crystal Lake Central High School Saturday, May 10, 2014. 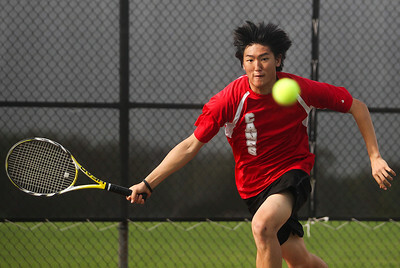 Sarah Nader- snader@shawmedia.com Marian Central's Charles Shin returns a serve while competing in a singles match during a tennis tournament at Crystal Lake Central High School Saturday, May 10, 2014. 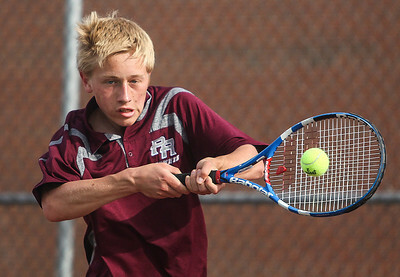 Sarah Nader- snader@shawmedia.com Prairie Ridge's Ryan Kohl returns the ball while competing in a singles match during a tennis tournament at Crystal Lake Central High School Saturday, May 10, 2014. 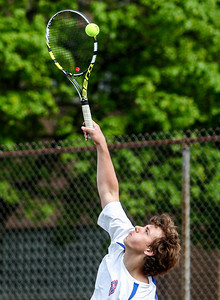 Sarah Nader- snader@shawmedia.com Dundee-Crown's Colin Stiefer returns a ball while competing in a singles match during a tennis tournament at Crystal Lake Central High School Saturday, May 10, 2014. 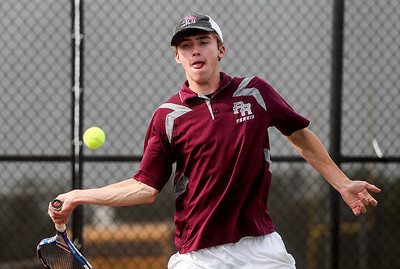 Sarah Nader- snader@shawmedia.com Prairie Ridge's Matt Cox returns the ball while competing in a doubles match during a tennis tournament at Crystal Lake Central High School Saturday, May 10, 2014. 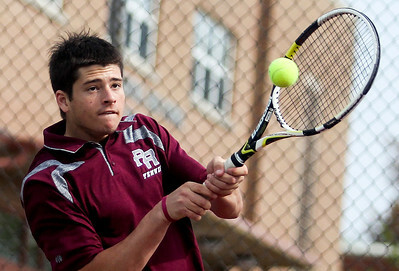 Sarah Nader- snader@shawmedia.com Prairie Ridge's Danny VanBosch returns the ball while competing in a doubles match during a tennis tournament at Crystal Lake Central High School Saturday, May 10, 2014. 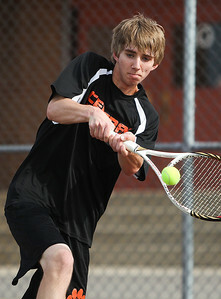 Sarah Nader- snader@shawmedia.com Crystal Lake Central's Brad Graves returns a serve while competing in a singles match during a tennis tournament at Crystal Lake Central High School Saturday, May 10, 2014. 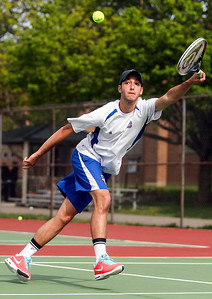 Dundee-Crown's Brad Spangenberg serves to Prairie Ridge while competing in a doubles match during a tennis tournament at Crystal Lake Central High School Saturday, May 10, 2014.